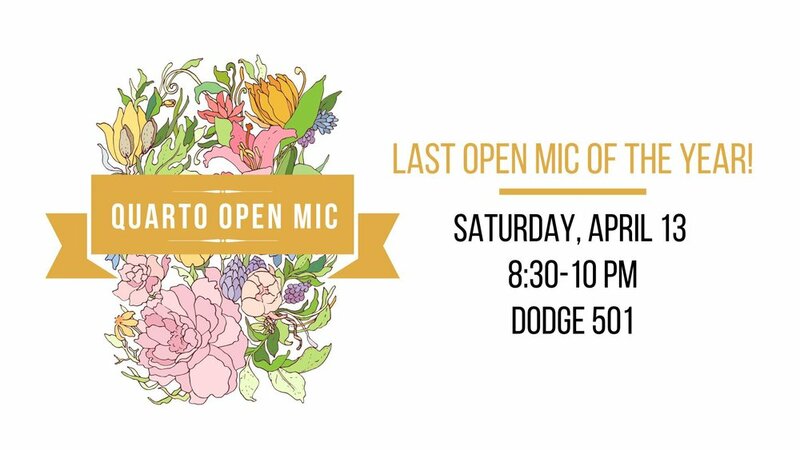 Join us in Dodge 501 for Quarto's last open mic of the year! Whether you have a piece you'r burning to read, or just want to sit back and listen, there is a place for you here. Snacks and refreshments will be provided.